ISSOS offers 13 to 18 year old from all over the world the chance to combine academia, fun and cultural enrichment in the world class universities of St Andrews, Cambridge & Yale. ISSOS was created with one clear mission in mind: To create a safe place for people to learn and grow. As such, we provide a well balanced, supervised summer program where students from all over the world come together and choose academic and elective classes to suit their needs and interests. We offer our students the opportunity to have the summer adventure of a lifetime where the focus is on personal safety and wellbeing, quality individual instruction and a unique international experience. The locations of our summer schools have been carefully chosen for their safe, stimulating and inspirational campuses. The historic and cultural locations of Cambridge, St Andrews and Yale allow students to experience life at these exclusive universities, within a secure environment. ISSOS is a values led company offering a value led education, where we endeavour to deliver the highest quality programs in the safest locations led by an inspirational team. ISSOS welcomes students from over 80 nationalities creating an international family where friendships span the world and last long beyond the summer. At ISSOS we take pride in using only highly qualified and motivated staff. All of our teachers have been carefully selected from academic institutions around the world for their qualifications, expertise and experience and bring with them an energy and enthusiasm for teaching and interacting with young people, within both our academic and extra-curricular programmes. There is a staff student ratio of 1:5 and classes are intentionally kept small in order to provide individual attention and personalised instruction. As well as providing high quality academic standards for our summer students, our teachers are also dormitory residents and are backed up by counselors who act as role models and provide pastoral care. The success of our summer programmes rests on the dedication and enthusiasm of our teachers and counselors and their common goal of making ISSOS a truly unique and exciting experience for every student. We also have an amazing full time head office team who spend the year making sure that ISSOS really is The Experience of a Lifetime. 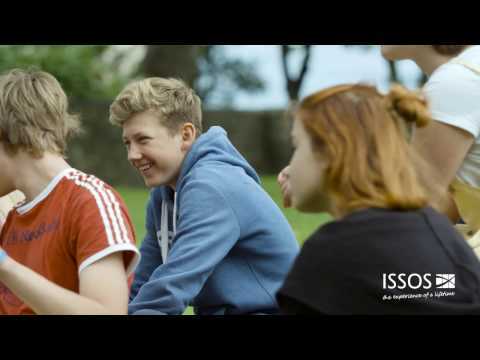 Why not download our brochure, you will find lots of information about ISSOS and discover why our students and staff have The Experience of a Lifetime, each summer.